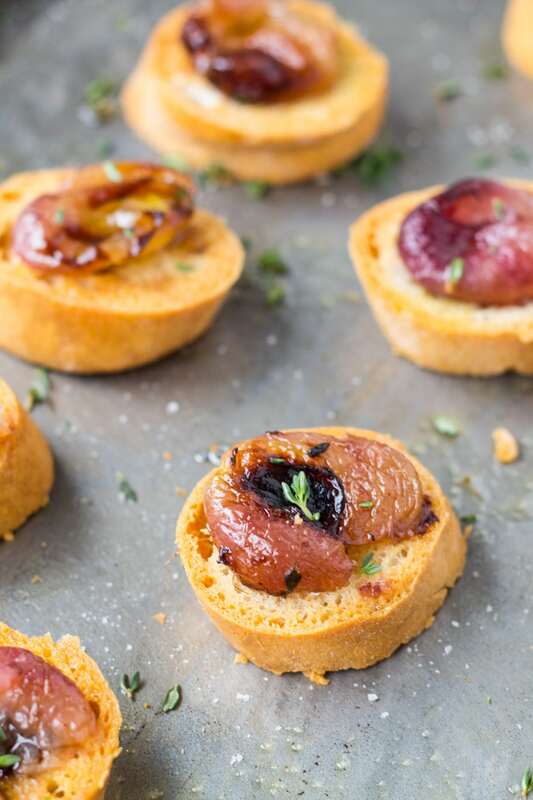 A delicious combination of sweet and savory, make this Low FODMAP Crostini with Roasted Grapes and Thyme for a crowd-pleasing appetizer. 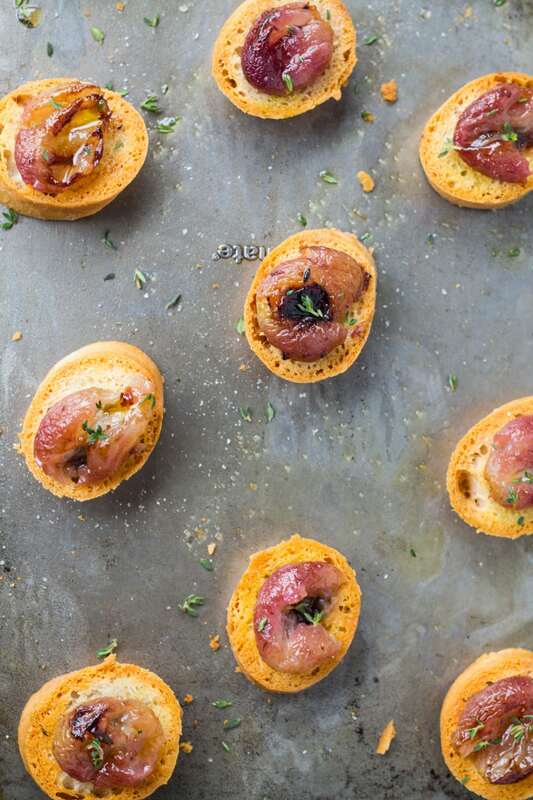 One of my favorite ways to entertain is with appetizers (and wine) and I always like a good crostini. 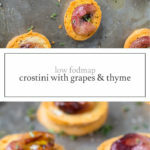 There are so many different ways to top crostini, but because I am a sucker for sweet and savory, I really like this Low FODMAP Crostini with Roasted Grapes and Thyme. To make, gently smash a roasted grape or two onto each slice of baked crostini and serve. Although delicious together, I’ve separated the recipes because they’re also great on their own. 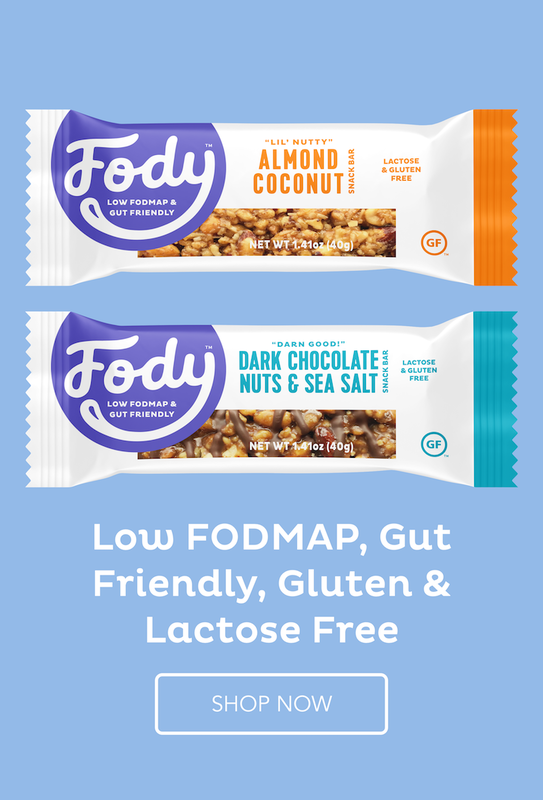 Serve roasted grapes with grilled chicken or pork and top the crostini with chive butter or other favorite low FODMAP toppings. Preheat oven to 425°F. Arrange baguette slices onto baking sheets. Brush both sides with olive oil. Bake until golden brown, about 5-8 minutes, flipping once. Let cool before topping with desired crostini toppings. Preheat oven to 425°F. Line a rimmed baking sheet with aluminum foil. Place grapes onto the prepared baking sheet. Drizzle with olive oil and top with thyme leaves. Stirring occasionally, roast grapes for 30 minutes or until just starting to caramelize and burst open. Season with salt. Let cool slightly before serving.